North of Dreams is the third and final book in what I’ve come to affectionately call “The Icarus Collection”. (To be) Published August 16, 2018, “North of Dreams” is a message of hope and the encouragement to “keep on keeping on” even when you don’t have a clue what you’re doing. Once again touching on mental health, love and self love, relationships, and understanding your path, North of Dreams is the conclusion to the chaos that started it all. North as a direction is often associated with adventure, and in many cultures is linked to the new moon, and midnight. It is the cusp of change, and a promise to turn dreams into reality. Of all the books, North of Dreams is something special to me. It signals the end of an era, and the journey into something new and exciting. Whatever your thoughts, I’d love to hear them. If you’re looking to preview the pages, Amazon offers a “look inside” option you can have a taste before you buy. You can also sample my poetry on Instagram alongside some of own photography as well as photographers whose work spoke to me. Find it on Amazon and Kindle here. I am a poet and author from a small town in Northern Ontario. I frequently use nature and "the North" as inspiration to create literary pictures on themes such as love, life, mental heath, feminism, relationships, self image and adversity. When I'm not busy turning my soul into syllables, I work in children's mental health helping kids learn some of the skills not taught in the classroom. I'm a patron of the arts, nature is a borderline obsession and I live to cook. I've got a little dog for a sidekick, and some pretty great ideas on how to be an every day superhero. J.L. Fizzell's debut poetry anthology. It deals with overcoming challenges, digging deep and laughing in the face of adversity. Read if you need a help finding some light in the darkness and are looking for the reassurance that it gets better. Best enjoyed with a glass of whatever it is that makes you happy. J.L. 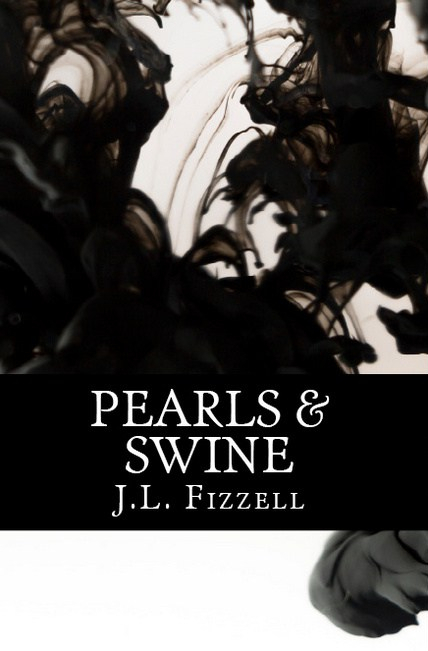 Fizzell's second book of poetry, and companion to the first. It's centered around the old adage "Don't throw your pearls to swine" - stop wasting your time on things that give you nothing in return. Read if you need the courage to find your voice and live for yourself. Best enjoyed with coffee. North of Dreams is book three for J.L. Fizzell and is a companion to its predecessors. This book if about finding the strength and the courage to chase your dreams and turn them into reality. Read if you're looking for the motivation to start a new journey or you're after a little sunshine and sarcasm. Best enjoyed with a cup that has a kick.